One More Time: The End of Indian Real Estate as We Know It? I work out of home. And given that when I do get out of home, I like to look at billboards. Mumbai feeds this habit of mine, with the massive billboards that are there all over the city. These billboards give me some sense of the times that we live in, and if not that, they at least tell me who has the money to spend. Currently, there are two sectors, which have taken over the billboards of Mumbai. The first are over-the-top (OTT) media platforms. These are companies like Netflix, Amazon Prime, Zee 5, Alt Balaji, Voot etc., which use the internet to deliver their content. A drive around the city and a look at all the OTT platforms advertising their content, seems to suggest that Mumbaikars are doing nothing but watching serials and movies, on these platforms. But that as we know is not true. OTT platforms like Netflix, with a minimum charge of Rs 500 per month, are simply too expensive for most Indians. And even those who can pay this kind of money, clearly have no use subscribing to all the OTT platforms, simply because they do not have the time and mental bandwidth to consume all that is on offer across these platforms. In fact, there is a huge bubble on in the OTT platforms and given this, it is a good time for people connected to the film industry in India, particularly the Hindi film industry in Mumbai, to make some good money quickly. As and when this bubble bursts, as is often the case, another set of capitalists will go bust. But on the whole, this bubble burst is unlikely to hurt the economy as a whole. But that may not be true about the other sector which has been using hoardings extensively to advertise itself. Earlier in the piece, I wrote about two sectors having taken over the hoardings in Mumbai. The first as I said are the OTT media platforms. The second are the real estate companies of Mumbai (Rustomjee, Kanakia, Runwal and so on). This, of course, is nothing new. Real estate companies have been advertising through billboards for a long time. It need not be said that the price of the apartments being advertised runs into at least a few crores. Yesterday, I was surprised to see a hoarding which said just Rs 1.49 lakh for a home, until I realized, it was per month. It makes me wonder who are the people buying these houses? For the assessment year 2017-2018 (financial year 2016-2017) the income tax department reported that the number of individual taxpayers with a taxable income of more than Rs 1 crore, is just 81,344 all across India. If so many people are buying property worth crores, how is it that India has just over 80,000 people earning an income of more than Rs 1 crore. Given this, it is not surprising that the inventory of unsold across the real estate companies has gone up over the years. A lot of real estate that is being built and has been built, is simply too expensive for most people to buy. What has gone up along with the unsold homes, is the debt that the real estate companies have accumulated over the years and need to repay. The question is are these companies making enough money to service their debt? In fact, Liases Foras, a real estate research company, in a recent report said: "Total disposable income of all developers (including their rental income from commercial properties) is expected to be Rs 57,000 crores but repayment required on their part is Rs 128,772 crores. In order to fulfil obligations, all developers will need to increase EBDIT [earnings before depreciation interest and taxes] by 2.26 times." The report further points out: "The total disposable income of top-90 developers (including their rental income from different properties) is Rs 23,564 crore but the repayment required is Rs 45,128 crore. Due to the gross mismatch it seems current debt levels are not serviceable. In order to meet debt obligations, developers will need to increase their EBDIT by 1.92X. And to make profits to the tune of 15% the developers will need to increase their EBDIT to 2.20 times, or have to achieve more than double the sales." Basically, what the report is saying that if real estate companies are to be in a position to be able to repay their outstanding debt and at the same time make a profit, they need to double their sales, and do that quickly. The only way this can happen is by cutting prices and attracting more buyers who are currently sitting on the side-lines, waiting for home prices to fall. But as well all know, while real estate prices have remained flat over the last few years, they haven't really come down. (Of course, this is not true for the Delhi NCR region, where prices actually came down and have been going up in the recent past). The economics of the sector over the last few years has been clearly telling us that real estate companies need to cut prices to be viable and clear the unsold inventory of homes that has accumulated over the years. But that hasn't happened. We have been offered multiple reasons for the same. We have been told that real estate companies are fronts for politicians and if they cut prices, they will end up spoiling their relationship with the politicians and they can't let that happen. We have also been told that the companies made a lot of money, particularly in black, between 2002 and 2011, and hence, are not interested in cutting prices, and are sitting back waiting for good times to come back. And finally, we have also been told that any cut in prices will lead to banks having to mark down the value of the assets against which they have given loans to real estate companies. This will eventually lead to bad loans of banks going up, something the banks can ill-afford. Now we are being told that the margins that the real estate companies operate on, do not justify a price cut. And that being the case, a price cut is unlikely. So, who is going to bear the cost of the inability of the real estate companies as a whole to continue servicing their debt. At the cost of sounding like a broken record, in economics there is no free lunch. Will India's banks pay the cost for this as well? We request your view! 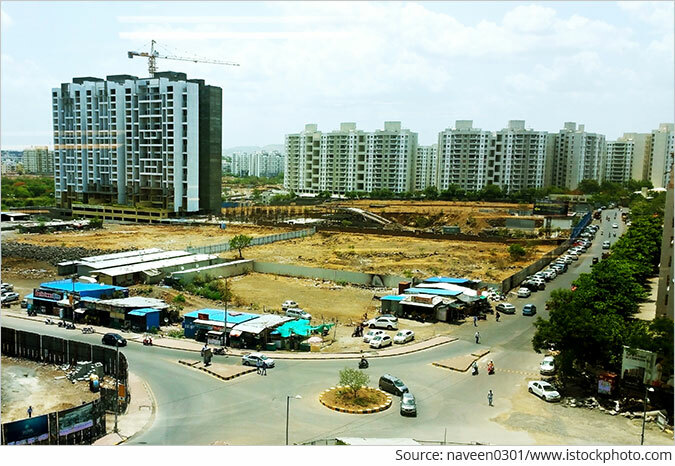 Post a comment on "One More Time: The End of Indian Real Estate as We Know It?". Thank you for posting your view! 5 Responses to "One More Time: The End of Indian Real Estate as We Know It?" Most high value properties are purchased by NRIs. This fact seem to have been ignored. Many reasons, many years - while middle-class man is still buying?! A 1 crore 30 year loan will cost about a lac in EMI per month, which means he needs to earn at least 3 lacs salary per month to meet this... maybe we need to see how many salaried class people declare 40lacs annual income.